FEATURES • Very roomy freestanding design with 2 side doors and 2 vestibules for easy access and gear storage. • Poles attach to the rain fly, allowing the inner and fly to be set up together. The rain fly can also be set up alone to save weight. The optional third crossing pole turns this tent into a sturdy four season tent. 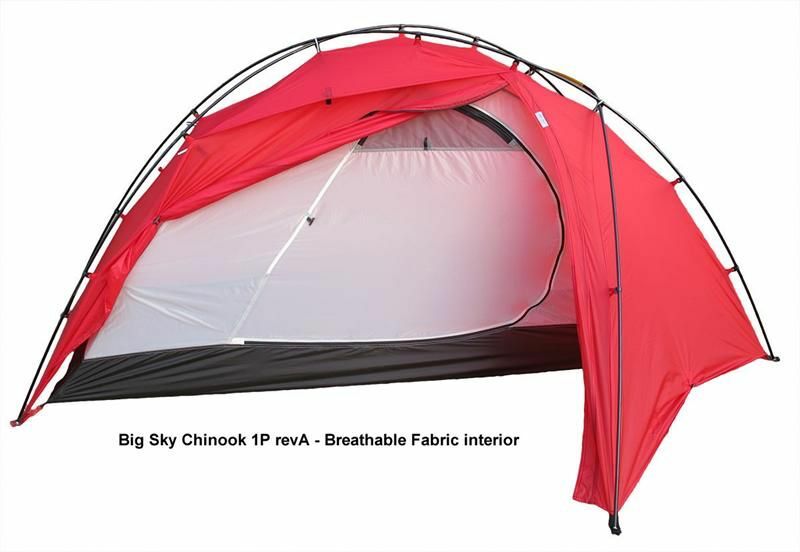 • Floor and fly use silicon coated nylon fabrics for excellent strength and light weight • Two inner options: Breathable nylon fabric OR See through mesh fabric • Includes ultralight sil-nylon compression bag DESCRIPTION: The Big Sky Chinook is the most versatile four season tent on the market. 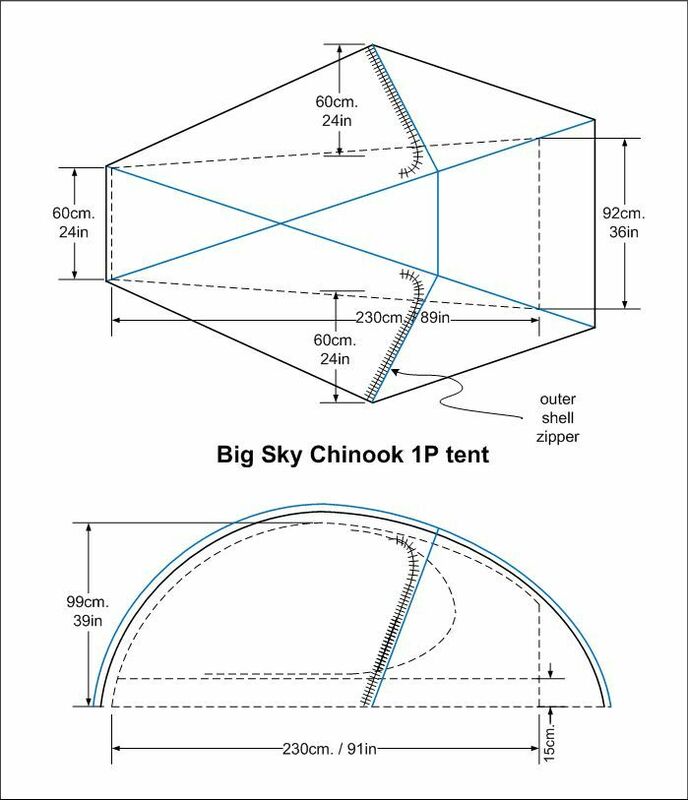 The Chinook can be used with 2 poles in a traditional dome configuration, or with 3 poles for four season stability. Weighing in at 1.526kg in “4-Season mode”, this is one of the lightest four season tents on the market, and when you remove the third pole the weight drops substantially, giving you a light weight solution for summer camping. Like the Revolution, the Chinook uses an Exoskeleton pole configuration, letting the inner and fly stay together for fast pitching without exposing the inner to the rain. For those counting grams, the inner can be left at home, leaving the fly and footprint as a spacious yet minimalist solution. Available in a choice of two inners (Mesh and breathable fabric), the Chinook is truly unique in its category, and is our recommended choice for the Tasmanian mountains.